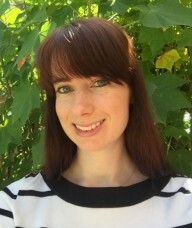 Briony Swire-Thompson is a postdoctoral fellow at Lazer Lab, and fellow at Harvard University’s Institute for Quantitative Social Science. Her research investigates what drives belief in inaccurate information, why certain individuals are predisposed to refrain from belief change even in the face of good corrective evidence, and how corrections can be designed to maximize impact. Prior to joining Professor Lazer’s Lab, she was a doctoral student at the University of Western Australia’s Cognitive Science Laboratories. Her doctoral thesis The Role of Memory and Ideological Biases in the Correction of Misinformation was awarded the Dean’s List Honorable Mention in recognition of an outstanding thesis in 2017. She was additionally a Fulbright scholar at Massachusetts Institute of Technology’s Political Experiments Research Laboratory, where she investigated the impact of perceived source credibility on belief change and voting intentions. She is currently interested in the processing of misinformation in older adult populations.